I don’t expect to see too many Shamans going into BfA nor in the end game either, and it disappoints me greatly. Nice post, thats really sad how they ignored us, talents are a joke plus the rotation is so f**ng bored right now . But instead a AoE talent that uses like 40 maelstrom and then drains the rest at 10maelstrom/sec. That would feel very fine! Because you would actually fiddle with your resources for a short time and then be safe to rotate without encouraging a famine. Overall I think our utility is amazing and gameplay feels beautifully rewarding. What you’re talking about is literally the suggestion though. How it’s implemented and the constraints around it aren’t important, the important part is that it drains Maelstrom off the GCD which we currently cannot do – it’s not a literal demand to ask for Fury of Air to be a thing; don’t think about it as much as a binary request and more a suggestion. The entire point is that the speed of the rotation right now is artificial, you aren’t choosing the button you press based on what it does, just picking the colour of button you hit – that needs to be fixed. Great review, feel like you’ve written everything that was in my mind. I want my Enhancement to return as my main once again for BFA but i’m considering leaving him at 110 until 8.1 pending some attention, otherwise i’ll leave him as he is in his final glorious moment. ok I felt like you were actually interested in a return to fury of air for single target. So I got a bit frightened as, for Blizzard, your opinion is to be seen as representative to what the community thinks and leans toward. Just after prepatch release I am considering reroll, which I’d like to avoid, but if nothing will change, this spec will be unplayable for mythic progressions. I think I’m being dumb. Is there any interaction between the two other than extra maelstrom generation > more resource for stormstrike and lava lashes on targets affected by crash lightning? 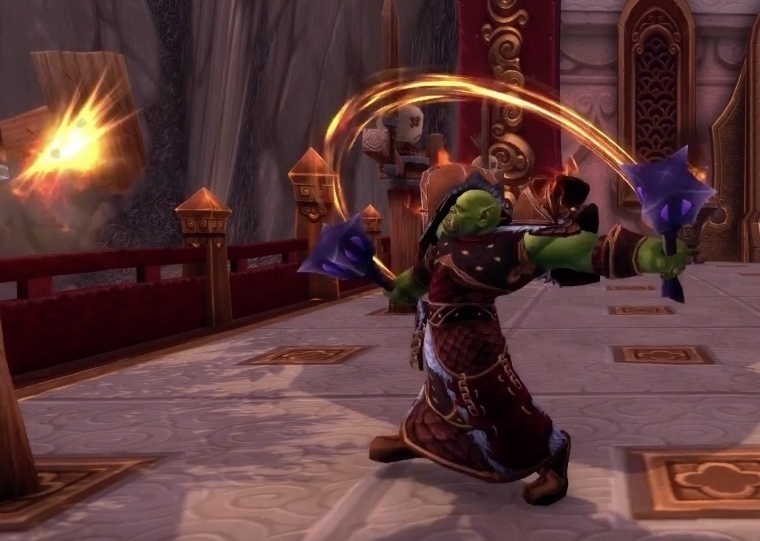 I didn’t care for the change from WoD to Legion and it feels even worse now – glass “cannon” that’s only a cannon at certain times, resource capped or not and is exceptionally fragile. It’s just not a fun spec to play any more at all, I’ll pass and play just about anything else. I’ll check back in the 9.0 patch unless something dramatic changes. Single target damage has always felt great with enchantment shaman, i feel a few tweaks to the AOE kit can really push enchantment shaman to a better place where it can compete with other classes. I agree with the opportunity cost of our AOE capabilities as a enchantment shaman said above relating it back to the survivability issue we currently have. Enhancement is at least doing far better than Elemental. Is it intended that the orc on article image(on main page) looks like Chad?